Having a beautiful, eye-catching website is great for turning visitors into customers, but in order for traffic to start flowing, you’ll need more than just a pretty website. When building a website, many designers overlook the SEO elements that help a website rank high on search results. Here, we will take a look at four common website design mistakes that impede your SEO progress, and how to avoid them. One of the most basic, and overlooked elements of SEO is the Header Tag. Header Tags, or H-tags for short, communicate to the search engines what a page on your website is about. There are 6 levels of importance, H1 being the most important, and H6 the least. Using at least the first three levels of H-tags can improve your SEO performance. When writing titles for H1 tags, be sure to use your targeted short and long tail keywords since this will be one of the first elements search engines will crawl to determine what your page is about. It is important to use high quality images within your website because it makes your pages eye-catching, and lets your customers see your products in detail. However, you don’t need massive images sizes to create those beautiful pages. Large image sizes and media files will slow your website down. If your pages do not load in a reasonable amount of time, you will not rank as well on the SERP, and customers will get frustrated and leave your website to go to a competitor. For help with image size, run your website through Google PageSpeed Insights Test or Screaming Frog to determine which images are too big, and then resize or compress them. 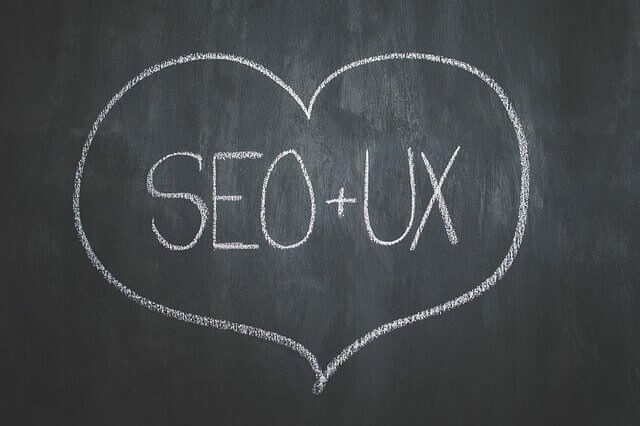 This is a common mistake made by many web designers who are not familiar with SEO. Search engine crawlers rely on being able to read the text on a website to rank it on the SERP. Search engine crawlers cannot read text that is embedded into an image. This can be found often on page banners above the fold, which disable the ability to implement H-tags. Instead, use a text layer that sits on top of the image, so that you can still make your website look great while optimizing for SEO.